It’s my pleasure to be hosting July’s Credit Crunch Munch which I run along with the lovely Helen of Fuss Free Flavours. This month anything frugal goes as usual but I’d love to see what bargains you can find in your local supermarket just before closing. 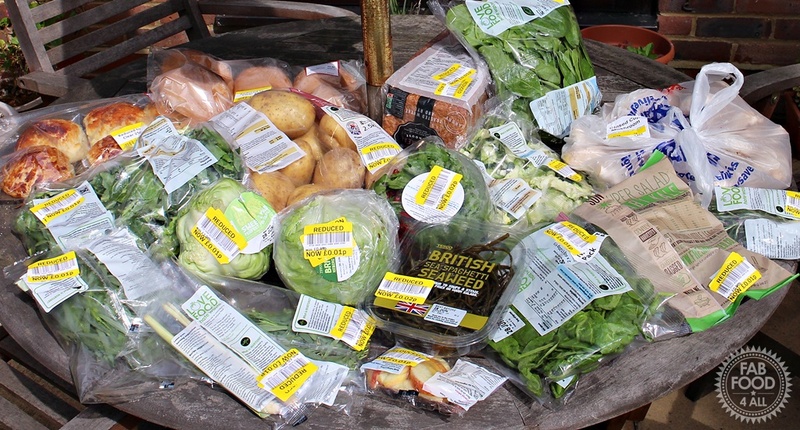 With all the abundance of fruit and vegetables around right now there is even more potential to pick up a bargain and perhaps try something you would never ordinarily have bought! Last weekend I picked up over £20 worth of goods for just 24p and made this Green Soup with Sea Spaghetti, we’d never eaten seaweed before and it’s amazing the inspiration you get from doing your shop like this! It’s like doing your own version of Ready, Steady, Cook! Can you beat this bargain shopping spree? To take part, simply blog about any money saving idea that is vaguely food related. We do a full round up so I will be mentioning all the recipes that are submitted. Closing date 31 July 2015. Send to as many other events as you like, let’s help everyone save money! If you’re cooking with seasonal ingredients then you could share your post with Simple & in Season and if you’re making a cheaper meal that includes an extra portion of veg then why not link up with the Extra Veg challenge. Finally if you’re using up leftovers then join in with No Waste Food Challenge. If you really want a challenge then why not create a recipe to fit in with all the these! Tell me about your money saving ideas on the linky below! I am also making this a blog hop, so feel free to grab the code and add to your post too. Let’s spread the money saving meme! Previous Post: « Green Soup with Sea Spaghetti & my 1p bargains! Wish I could find some bargains like that! So good. If you go to Tesco from 7pm on a week night or from 2pm on a Sunday I’m sure you’ll have some luck Lucy! Hi Camilla, I have linked another recipe under cheap ingredients and it is a full healthy meal using only lentil and shredded vegetables. I have linked Carrot Halwa, under the category of pressure cooker cooking. This recipe was published in the magazine here in Airdrie, Canada. Always looking forward to some budget summer meals so I will be watching this one closely. I am amazed by all your bargains. These are such great opp to try out new recipes!!! You got so many amazing bargains there Camilla. I love it when the reduced section is full of stuff that I actually want to buy.